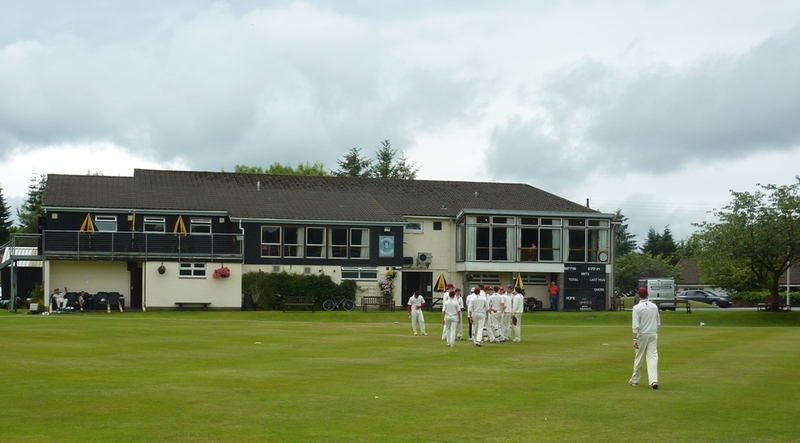 In the Western Premier League on Saturday, Stafforce Dumfries lost out in the rain when West Of Scotland exceeded the adjusted second innings total scoring 187 for 3 for the win in response to Dumfries’s 219 for 8. The South West Insulation Dumfries Man of the Match Drew Dawson top scored with 63 together with scores of 34 from Chris Brockwell and twenties from Chris Bellwood and Scott Beveridge. Dumfries were in a good position with West of Scotland on 58 for 3 in the 21st over with Niall Alexander, Pat Druce and Alan Davidson each claiming wickets. However a 129 run unbeaten fourth wicket partnership between Clarke and Leggat then put paid to their hopes. In the Western Premier Reserve league match at Nunholm against Partick the elements also played their part. Nunholm scored 150 all out thanks to scores of 37 from Adam Elliott and 36 from the JKC Engineering Nunholm Man of the Match Chris McCutcheon. However there was a similar outcome in the second innings when rain finished the match after 26 overs with Partick ahead of the required target with a winning total of 86 for 3. 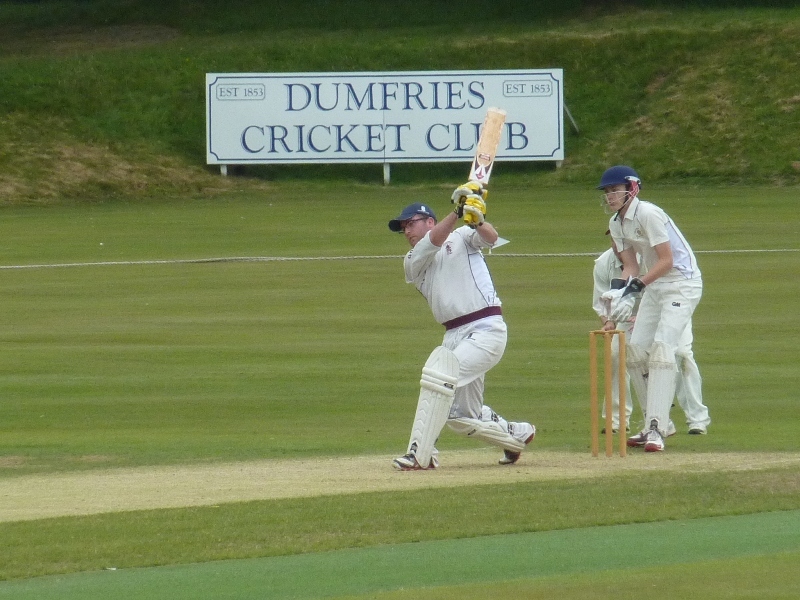 This Saturday, the Dumfries 1st XI play at Drumpellier in the Western Premier League and Dumfries 2nd XI play at Nunholm against Drumpellier 2nd XI in the parallel Reserve league. Representative call-ups: Dumfries’s Niall Alexander received the call-up last week for Scotland U19s for a rain affected mini-tour in Holland with only one of the three games against the Netherlands U19s playable. The eighteen year old opening bowler is the league’s equal lead wicket taker with 20 wickets in the Western Premier. Chris McBride also made his debut for Durham U15s in their win against Yorkshire U15s with scores of 28 and 45 not out in the two innings match. Summer Holiday Cricket: A Cricket Camp takes place at Dumfries Sports Club, Nunholm, on Tue/Wed, 22nd,23rd July, 10-3pm. For boys and girls aged 7-13. The cost for the 2 day camp is £25. Monday evening junior coaching for the same age group also continues throughout the holidays (6:15-8pm). Contact Dumfries Cricket Club on dumfriescricketclub@gmail.com , 07799 856094, or see www.dumfriescricketclub.co.uk .